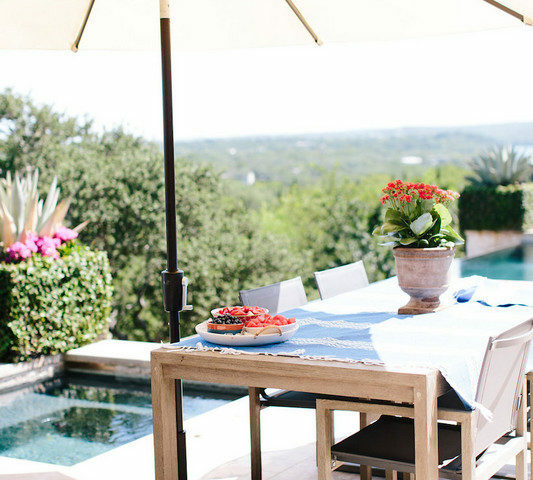 We’re swooning over mod-meets-chic outdoor dining situation. 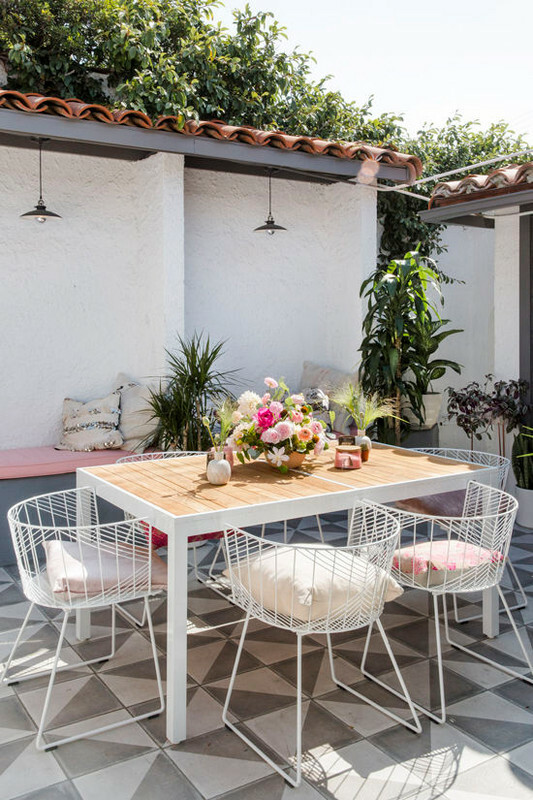 From the two-tone patterned cement tiles to the streamlined dining chairs, the space was made for summer entertaining. Outfit your outdoor dining area with plush seat cushions of a warm tonal scheme – bonus points for also integrating a similarly-hued floral centerpiece. 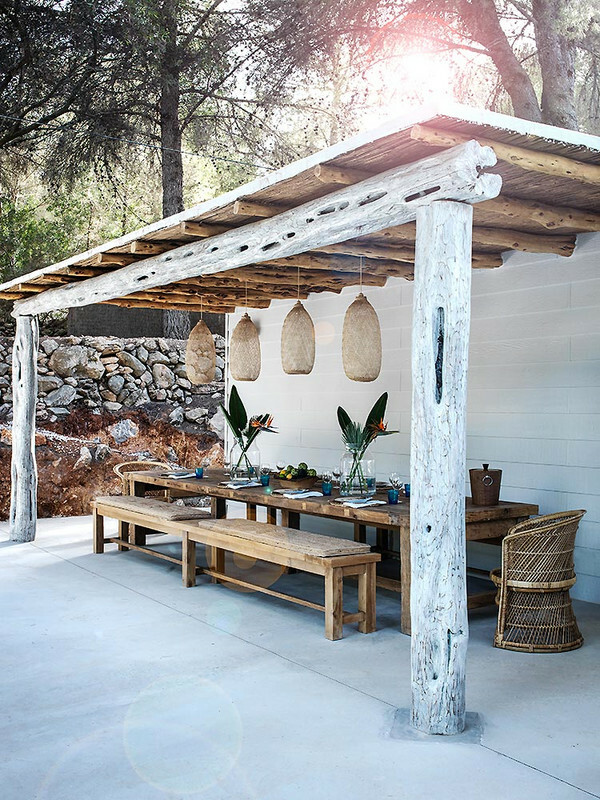 Spotted in this Ibiza beach house: the outdoor dining area of our dreams! Set beneath a covered extension alongside the home’s exterior, the lengthy dining area features enough room for entertaining an ample number of guests. While we can’t get enough of the woven furnishings and decorative accents, the oversized centerpieces featuring a slew of exotically-sourced florals definitely steal the show. When it comes to selecting the furnishings for your outdoor setup, take style cues from the exterior of the home. This Scandinavian spot becomes an extension of the home’s living room, emulating the modern look and feel of the space. Though we must admit, our favorite detail would have to be the high-low mix of an IKEA dining table and Hay chairs. If at least one of the walls are missing, it still counts as an outdoor space, right? Leanne Ford’s farmhouse chic aesthetic extends all the way to the semi-outdoor dining area, conveniently set within an enclosed patio. The cleverly whitewashed design allows for the outdoor elements to stand in the spotlight, while the handful of earthy-inspired furnishings complement the surrounding natural greens. 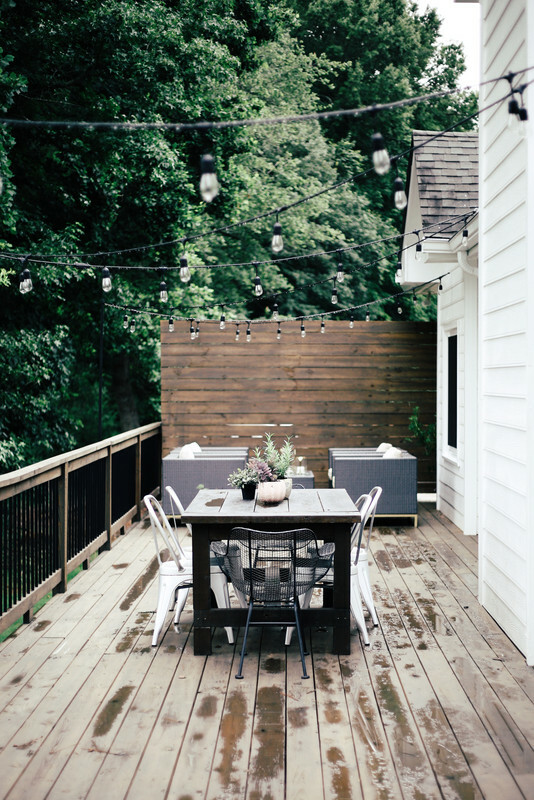 If you ask us, string lights are a non-negotiable when it comes to outdoor entertaining. After all, candles can only go so far. 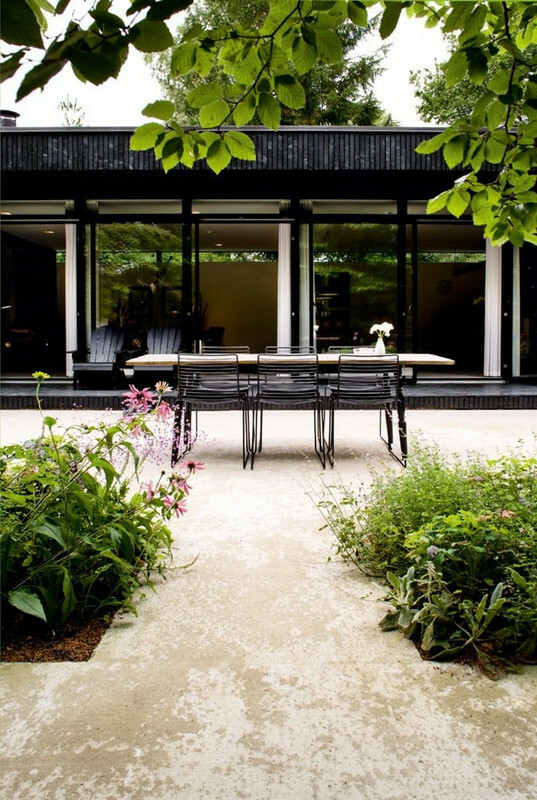 We love this outdoor setup for its simplistic approach to design, accentuated by an ultra trendy matte black dining table. This Hampton’s retreat undoubtedly features ample space for outdoor entertaining. Complete with a pizza oven and fire pit, the backyard’s pergola provides the ideal opportunity for a little cover up with a string of outdoor lights. Note the pair of textured accents, which impart the area with a cozy touch and a welcomed pop of color. This Mediterranean design evokes an essence of effortless perfection. The whitewashed dining setup allows the surrounding elements of the area to stand out – from the tiled flooring to the chic, two-tone wall designs. Woven textures, such as the hanging pendant, and a handful of wooden accessories complete the scene. 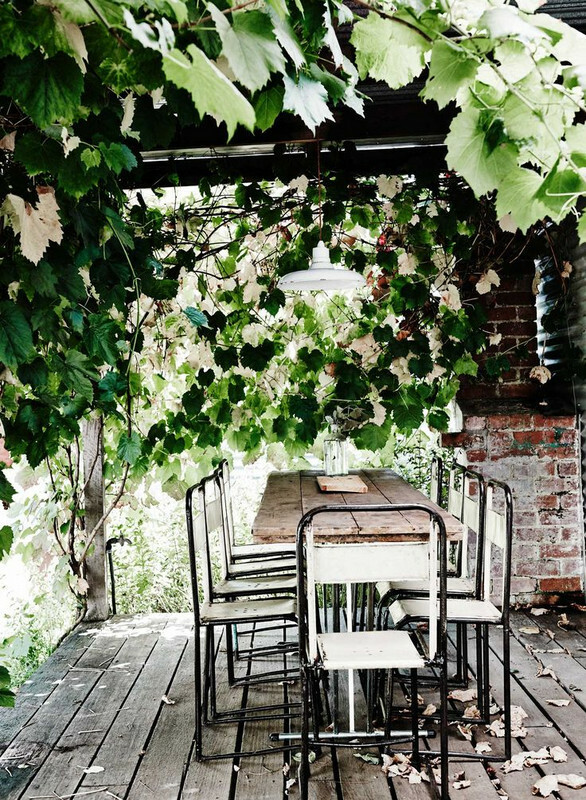 Tucked in the midst of a beautifully overgrown garden, this dining spot emulates the stylishly laid-back aesthetic of Australian design. 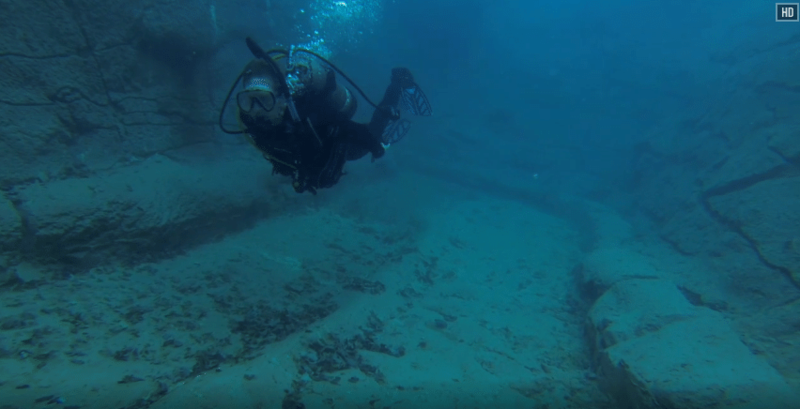 Our favorite takeaways from this spot? Complementing a rustic surround with furnishings that feature a hint of modern flair. Here, a monochromatic set of dining chairs do just that, melding in perfectly with the bucolic table. 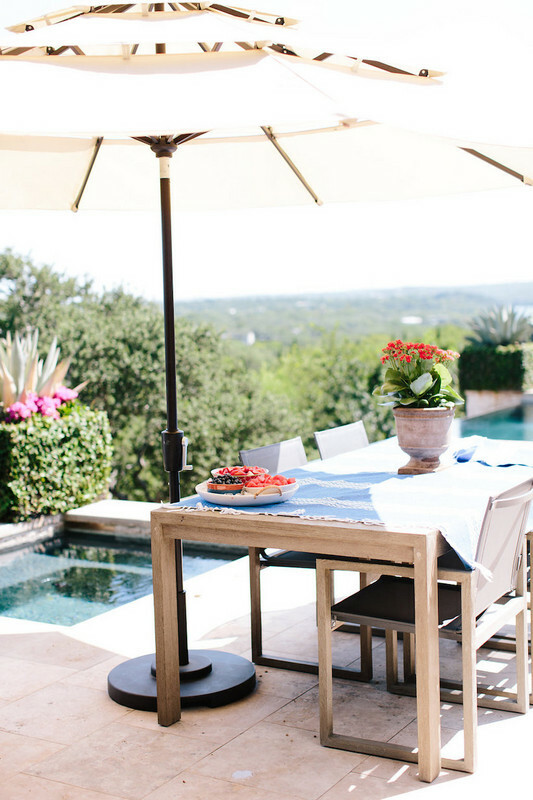 Poolside setup is the quintessential summer hangout. The streamlined composition of the outdoor furnishings are elevated by pops of natural color stemming from the tabletop accessories. A subdued color palette is reserved for the decorative scheme, allowing the surroundings to shine through.